Broadview Press Inc, 9781551116051, 222pp. 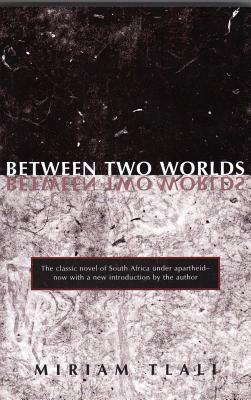 Set in Soweto outside Johannesburg, Between Two Worlds is one of the most important novels of South Africa under apartheid. Originally published under the title Muriel at Metropolitan, the novel was for some years banned (on the grounds of language derogatory to Afrikaners) even as it received worldwide acclaim. It was later issued in the Longman African Writers Series, but has for some years been out of print and unavailable.This Broadview edition includes a new introduction by the author describing the circumstances in which she wrote Between Two Worlds. Miriam Tlali's other works include Amandla (Ravan Press, 1980) and Footprints in the Quag: Stories and Dialogues from Soweto (David Philip, 1989). She lives in Soweto, South Africa.